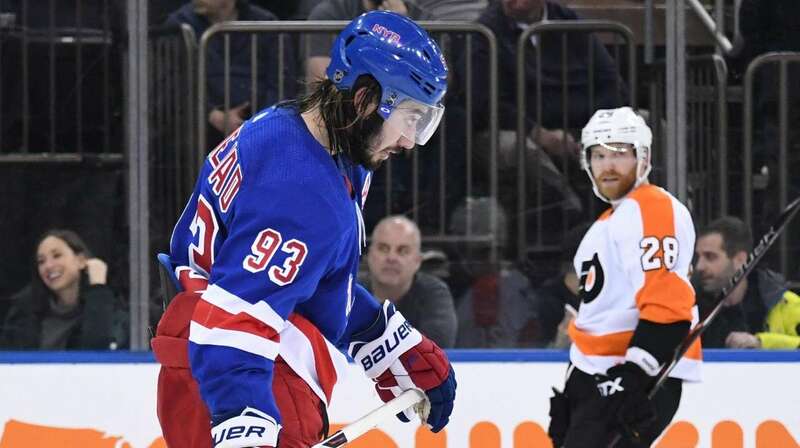 The post All-Star break portion of the season began Tuesday with the Rangers trying to extend a three-game winning streak against a Philadelphia Flyers team that was behind them in the standings and playing on the second night of a back-to-back. But David Quinn’s group was without one of its hottest players, Mats Zuccarello, out with a foot infection, and without another of its most talented forwards, Pavel Buchnevich, a healthy scratch for the fourth time this season. In the end, the Flyers got a goal one minute, 40 seconds into the first period from Oskar Lindblom and made it stand up, getting 38 saves from backup goalie Anthony Stolarz and dealing the Rangers a 1-0 loss at the Garden that could be the beginning of the end for their playoff hopes. Quinn called himself “frustrated’’ at the team’s inability to find a way to win, despite what everyone in the locker room largely described as an encouraging performance. Buchnevich, the 23-year-old Russian right wing, had so annoyed Quinn that the coach left him out of the lineup even though with Zuccarello out, he had no spare forward on the roster to replace him.